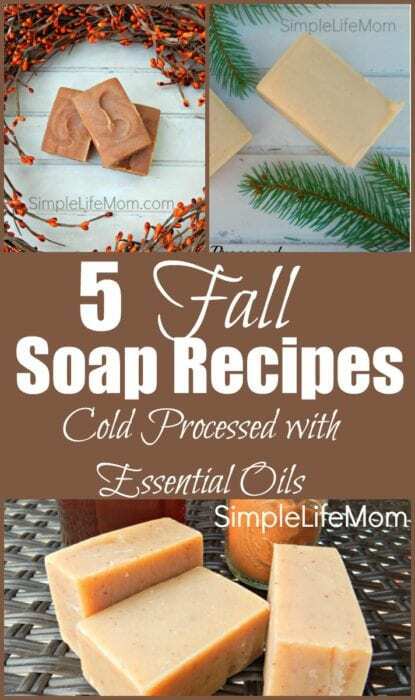 Thanks for checking out my 5 Fall Soap Recipes! Fall is such a beautiful time of the year where I live. Whether you love the hot summers or the snowy winters, Autumn is a transition time that often involves new scents outside the home as well as inside the home. The coolness of the mornings, the decomposition of leaves, Fall flowers, Holiday scents like cinnamon, cloves, and pumpkin all create wonderful memories. 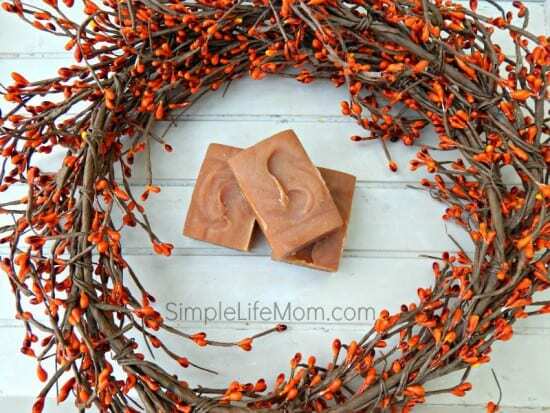 One way to create wonderful scents in the home and give meaningful homemade gifts is to make your own Fall soaps using these 5 Fall Soap Recipes. Don’t forget to check out 5 MORE Soap Recipes HERE too! As always, I only create recipes using pure ingredients. You will find no fragrance oils here (No matter what they claim to not have in them, fragrance oils are a chemical brew that is not natural or healthy). These recipes have affiliate links to Amazon for your convenience. I’ve included a few Vegan recipes along with the traditional tallow recipes. You can interchange essential oil scents from one recipe to another if you like the ingredients to another recipe better. If you want to double a recipe or switch out an oil for another one, make sure you run it through a lye calculator to make sure it adds up. You don’t want to end up with too much lye and have a crumbly soap. Learn how to Color your Soap Naturally Here! Combine tallow, coconut, and olive oil in a large stainless steel pot and heat to 100 degrees (heat and cool if necessary to melt all oils together). Outside, slowly add lye to the water (be careful. Lye will burn your skin if it touches you. Don’t inhale vapors either!). Stir. Cool to 100 degrees Fahrenheit. Pour lye water into oils and stir with hand mixer until light trace. Pour into a mold and incubate for 24 hours. Combine sweet almond oil, coconut, olive oil, and palm oil in a large stainless steel pot and heat to 100 degrees (heat and cool if necessary to melt all oils together). Outside, slowly add lye to the aloe liquid (be careful. Lye will burn your skin if it touches you. Don’t inhale vapors either!). Stir. Cool to 100 degrees Fahrenheit. Combine cocoa butter, coconut, olive oil, palm oil, and avocado oil in a large stainless steel pot and heat to 100 degrees (heat and cool if necessary to melt all oils together). There you have it! 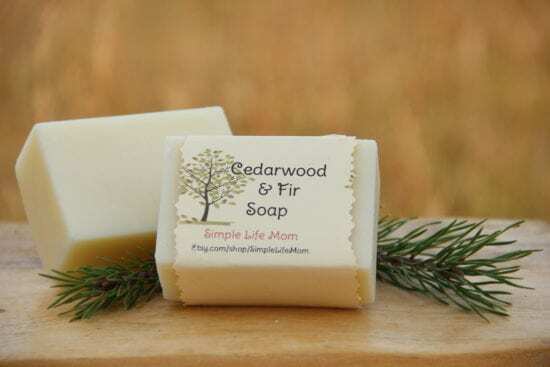 Do you have a favorite soap recipe or Fall essential oil blend? Please share your ideas with us below. I LOVE that these are made with tallow. It’s a new favorite of mine. I can’t believe how amazing it is for skin. I love essential oils too, some lovely EO combos here. Thank you Emily. I agree. We tend to make things so complicated, but often a fresh oil or tallow does wonders for our skin just as is! These recipes for special soaps look so doable! I’ve never thought of making my own soap, but have lots and lots of essential oils for super fresh scents. Love the smells of autumn! I really need to try these! I bet they smell amazing! I add 2 ounces of pumpkin puree to my Pumpkin Spice soap. (1 0z per pound) It gives it a wonderful color and a hint of pumpkin. What a great collection of fall soaps, I bet they all smell wonderful! I think it does 😉 Thank you Betsy. I love all the autumn scent combinations you created. Kelly I’m going to carve out some time to make these this season. Btw, your Fall Home Tour is doing great on my blog still. I’d love to make my own soap someday. These all sound like they would smell amazing. Fall scents are the best! Thanks for joining us for the Wednesday Showcase this week.. Thank you for including vegan recipes. We are vegetarians and it’s so nice to find some soap recipes that we can do. All these soaps sound amazing. I love the smell of fall in soap, I’ll have to try a few. Thanks for sharing at the Wednesday showcase party. Pinned! Hi, just thought you should know that the lye and water amounts are off for the Spiced Cider and Walk in the Woods soap. You are listing 24 oz of oils and the water and lye is meant for 32 oz of oil. I believe the recipe should show 3 oz of lye and 9 oz of water. Yes! Thank you for catching that! I just now had a computer glitch that messed up this post and had to redo some of it and I’m not sure how that happened, but at least it was a quick catch. Thank you and it is fixed. Thanks so much for sharing your recipes! I love the charcoal face soap and now am going to try the tallow soap recipe!! I’m excited to see how the tallow does with my skin, I’ve been very dry and itchy lately. What super fat percent do you suggest when running the recipe through lye calc? If I do use lard or tallow, do you melt it down first and then weigh it or weigh it while its solid? Or does it matter? It doesn’t matter. There should be less steps to weigh while solid and then put in the pot and melt.